Arab world torn between disappointment, relief as America delays action on Syria. Reactions in the Arab world were mixed following United States President Barack Obama’s announcement that he plans to delay intervention in Syria until getting approval from Congress. It had previously been believed that the U.S. could respond at any moment to the recent use of chemical weapons near Damascus. Louay Safi, a spokesman for the Syrian National Council, voiced similar concerns. “The death will continue in Syria because of the (failure of the) leadership of the United States to act decisively at this point," he told NBC News, adding that "Obama had the moral responsibility to act and not waiver." Revolutionary Command Council spokesman Abu Sham agreed. “Assad will retaliate against the people, with more force,” he told NBC news. An anonymous rebel leader said, “President Obama is sending contradictory messages. He promised to help, and now promises delays. He first said the using chemicals weapons was a red line … now the red line was crossed, and crossed again… If Congress votes against a military action, it will mean the American people don't want to help the Syrian people." Syrian regime leaders, however, were pleased at the news, and gloated that Obama’s decision was a sign of defeat. 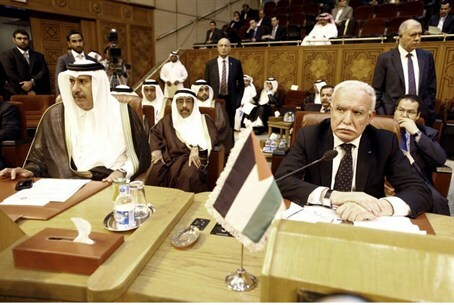 The Arab League had a mixed response. Some members, most notably countries such as Egypt, Iraq, Lebanon and Tunisia that have faced recent internal conflicts of their own, were opposed to foreign intervention. However, Western leaders indicated that they had support from other members of the Arab League; for example, the Gulf states are largely seen to favor the overthrow of the Assad regime. Many Arabs are torn between supporting and opposing international intervention, analyst Abdelkhaleq Abdallah told AFP. "They are angry at the attitude of the international community which (they feel) has betrayed the Syrian people, but also by the fact that an Arab country is being targeted in unilateral strikes, without UN approval,” he explained. International affairs expert Ibrahim Shaqieh agreed. “Sentimentally, the Arabs reject foreign interventionism in the affairs of their countries, but logically they accept such interventionism," he told AFP. He noted that there had been no large-scale protests over the prospect of Western airstrikes in Syria.